Hukad sa Golden Cowrie anchors its beliefs in the family. They serve quality native cuisine at affordable prices in a clean, convenient, and comfortable restaurant venue, meant to evoke festivity and the comforting nostalgia of Sunday lunches with loved ones. After the trick-or-treat event at Abreeza last Sunday, we had lunch at Hukad sa Golden Cowrie. This resto has been our favorite place because of their food and affordability. As always, we had to wait to be seated as the place is jam-packed considering its a Sunday. We had Baked Scallops (P135). My kids never fail to order this dish. They just love these. They can finish the whole dish alone. That's how much they love it. Our next dish was Shrimps in Garlic (P93). 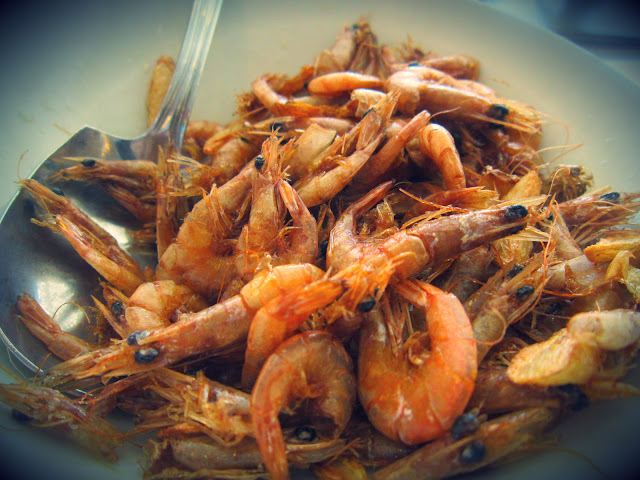 I love the crunchiness of the shrimps and the toasted garlic bits. My kids don't usually eat spices but this time they tried and loved it. 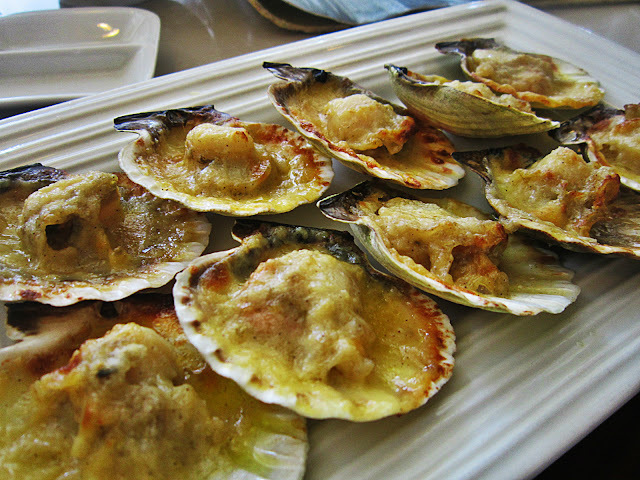 Another fave dish is Grilled Tangigue (P187). 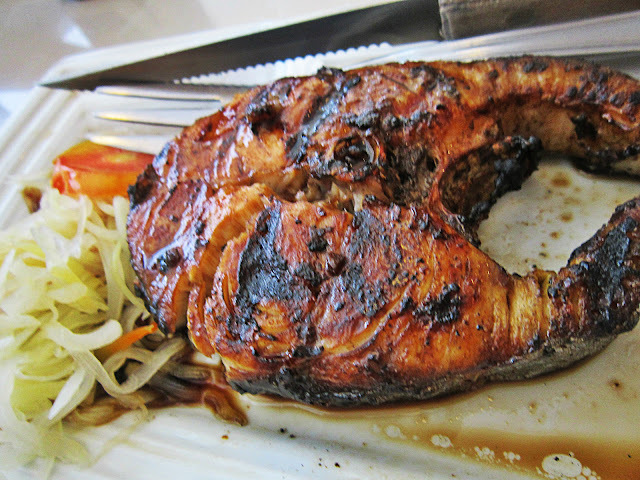 The dish is grilled properly keeping the fish still juicy and tender. It may be obvious to you by now, that we love seafood. I make sure when we eat out to get seafood to have a sort of break from meat. 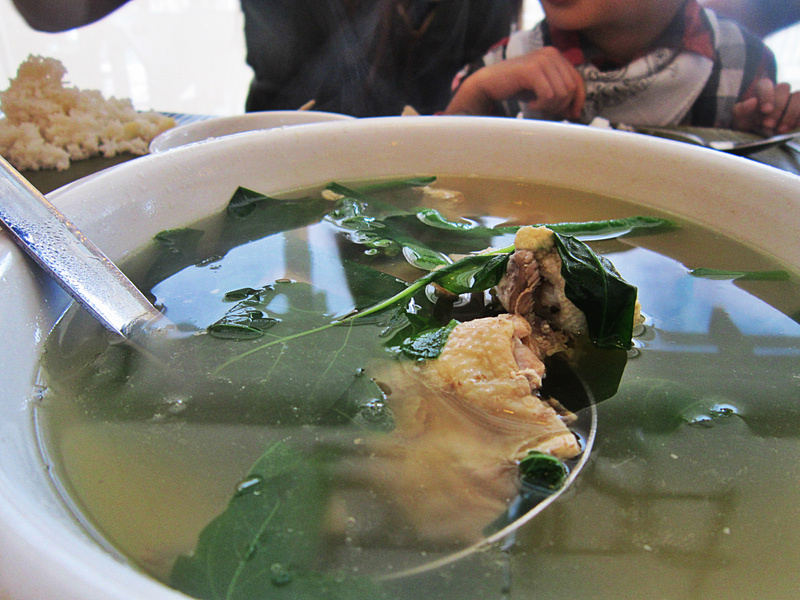 I wasn't feeling very well that day so we ordered Chicken Tinola (P139). They say chicken soup helps with colds. We enjoyed lunch as always. Hukad never fail to satisfy our tummies. We'll visit their newly opened branch at SM Lanang Premier.